Arc is part of a closed curve that forms a circle. 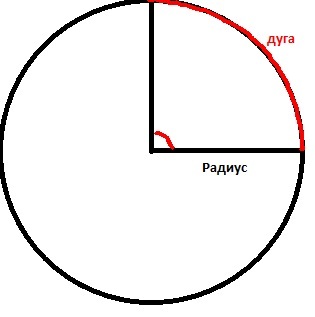 If the center of a circle construct an angle, the rays which will intersect the circle at points coinciding with the ends of the arc, this angle will be considered as the Central angle of the arc. n is the size of the Central angle of the arc (in degrees).